Plenty of bed-and-breakfast owners have a close relationship with their property, but how many can say they actually restored the place with their bare hands? The owners of the Schoone Oordt Country House did just that, personally refurbishing a 19th-century Georgian manor with style and ingenuity. The resulting hotel is steeped in artisanal elegance — take a look at the kitchen cabinets, made from Oregon pine reclaimed from a ship’s deck, or the cast-iron Victorian tubs in the bathrooms, and you’ll get the idea: this is a labor of love. 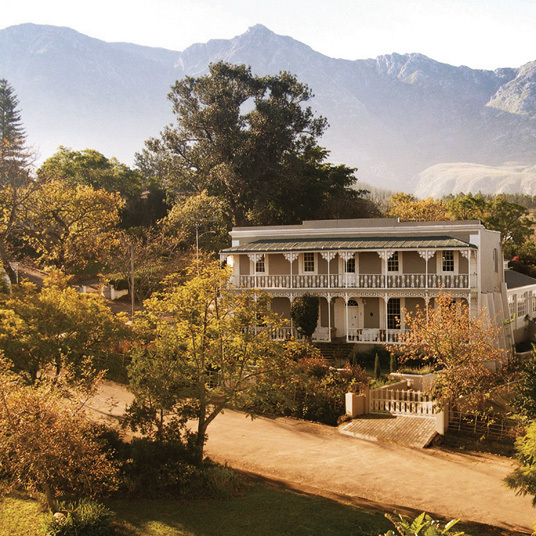 The hotel’s location in the shadow of the Langeberg Mountains — the highest peaks on South Africa’s Western Cape — adds a dramatic backdrop to the rose gardens, glades, and rivers that compose the landscape. 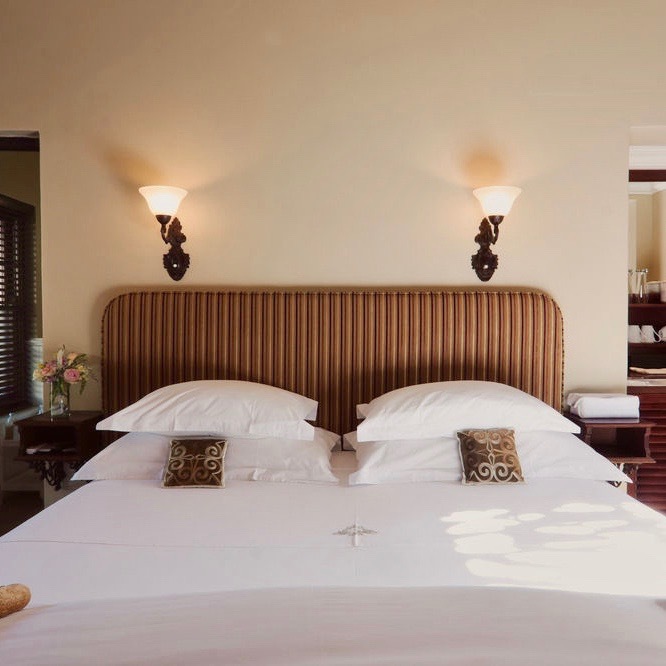 It’s the perfect setting for the kind of unpretentious luxury that defines the ten guest suites, where any lingering Victorian stuffiness has been swept away in favor of sturdy wardrobes and graceful chandeliers. 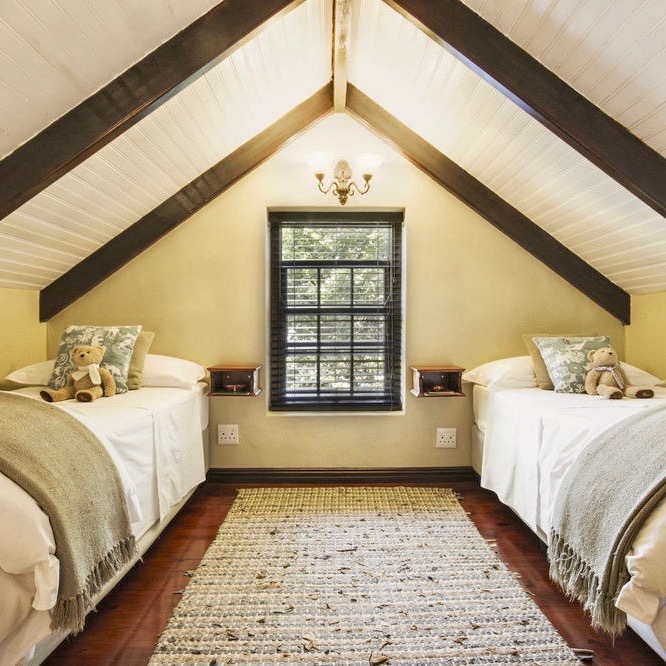 Fireplaces and cozy goose-down bedding are standard, along with private balconies that usher guests to the gardens. 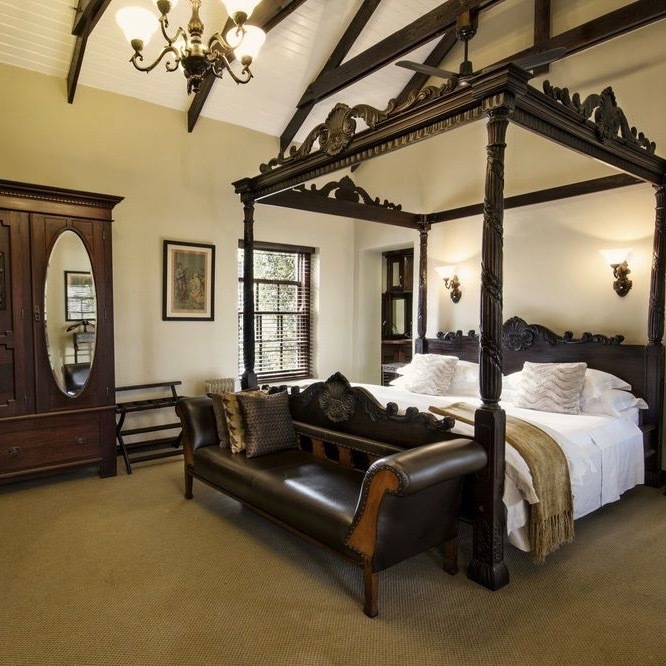 If you prefer your romantic seclusion to include a four-poster bed and oversized bathroom, there’s a single honeymoon suite tucked away from the main house. In addition to the owners, Schoone Oordt retains another husband-and-wife team, this one tasked with handling the culinary side of things. It’s a marvelous strategy, as the cuisine goes far beyond the requisite continental breakfast — locally sourced ingredients and seasonal goodies inform Chef Wander’s constantly evolving menu. At dinner, each course is paired with wine, and the whole relaxed affair is the perfect way to wind down after a day spent exploring the nature reserves or driving down to the sea.